WASHINGTON, D.C., Nov. 2, 2015 – The U.S. Government’s Millennium Challenge Corporation (MCC) and the Government of Liberia today celebrated the signing of a new $257 million partnership agreement at a ceremony at the U.S. Department of State. The ceremony included remarks by MCC CEO Dana J. Hyde, Deputy Assistant Secretary of State for African Affairs Todd Haskell, Liberia Vice President Joseph Boakai, and Liberia Minister of Finance and Development Planning Amara M. Konneh. 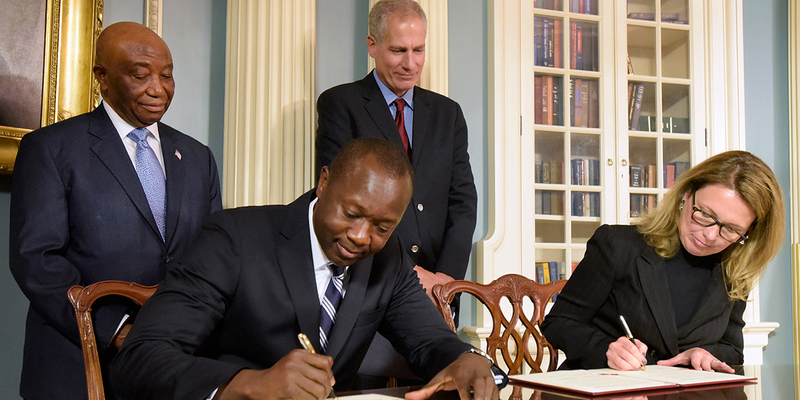 Liberia Minister of Finance and Development Planning Amara M. Konneh and MCC CEO Dana J. Hyde, sign a $257 million compact in the presence of Liberia Vice President Joseph Boakai, left, and U.S. Deputy Assistant Secretary of State Todd Haskell. The five-year compact with Liberia combines infrastructure investments with policy and institutional reforms designed to modernize the country’s power sector and strengthen its road maintenance systems. MCC’s investment complements the U.S. Government’s efforts to help Liberia recover from the Ebola outbreak, significantly enhances the U.S. Government’s Power Africa engagement in Liberia, and supports two sectors critical for broad growth. Currently, only 2 percent of the Liberia population has access to the electric grid, and 84 percent of Liberians live on less than $1.25 a day. To help address these challenges, the compact includes funding for rehabilitation of the Mt. Coffee Hydroelectric Plant, development of a training center for technicians in the electricity sector, and support for the creation of an independent energy sector regulator and the development of a nationwide road maintenance framework. Over the next 20 years, the compact is expected to benefit at least 460,000 people. “This compact strengthens our partnership with a country that has shown extraordinary resilience in the face of enormous challenges – and exemplary commitment to advancing economic freedom, governing justly, and investing in future opportunity for its people,” Haskell said. The Liberia Compact was approved by MCC’s Board of Directors at its quarterly meeting in September. MCC completed a $15 million threshold program with Liberia in 2012 that improved land rights and access, girls’ primary education enrollment and retention, and Liberia’s trade policy and practices. 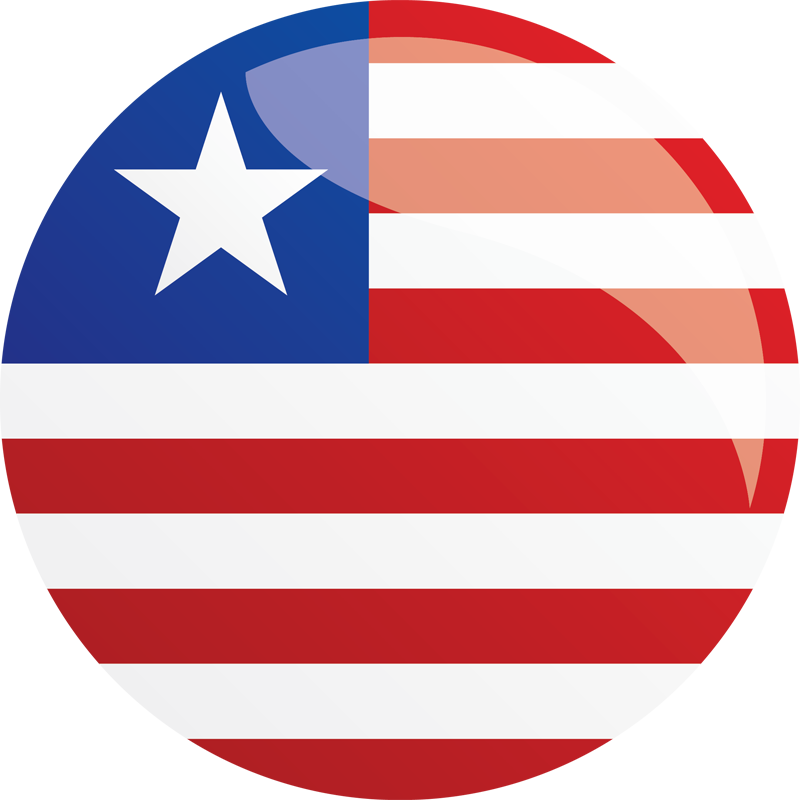 Learn more about MCC’s Liberia Compact. About the Millennium Challenge Corporation: The Millennium Challenge Corporation is an innovative and independent U.S. agency that is working to reduce global poverty through economic growth. Created by the U.S. Congress in January 2004, with strong bipartisan support, MCC provides time-limited grants and assistance to countries that demonstrate a commitment to good governance, investments in people and economic freedom. Learn more about MCC at www.mcc.gov, and visit us on Twitter and Facebook.